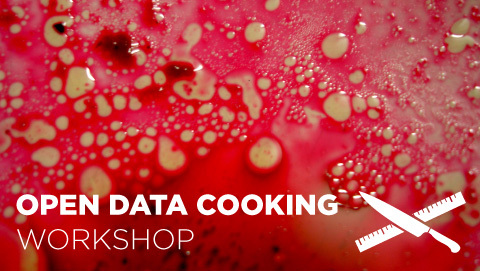 I am happy to announce my most out-there infovis related activity this year: The open data cooking workshop. Organized together with Prozessagenten and Miska Knapek, we will invite 15 participants to explore the data-expressive qualities of food together. Our idea is to cook food with local ingredients that represents local (open) data about the region where the workshop is. If you think about it, there are some many ways food can be used to express data: 2d painting/drawing, 3d sculpture, taste dimensions, texture, all the cultural connotations (potato vs. caviar), preparation processes and variables (e.g. automated oven temperature regulation), presentation, … The possibilities are endless! Much looking forward. Thanks to pixelache and okfn for making this happen!